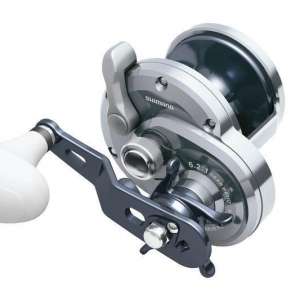 Shimano TranX reels have a revolutionary design and shape that provides the comfort of low profile with the capacity of a conventional reel. 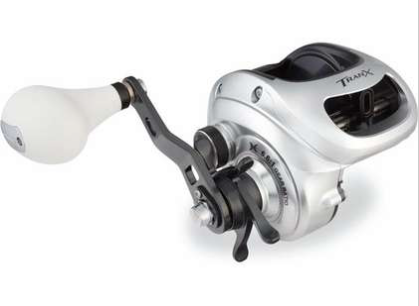 Shimano TranX is offered in high gear (HG) and power gear (PG) models to cover a wide range of applications. X-Ship provides an extra smooth retrieve with superior durability. HEG – a larger drive gear and pinion gear increase cranking efficiency. SF – Superfree Bearing supported Pinion Gear eliminates friction with spool shaft for better freespool. E.I. 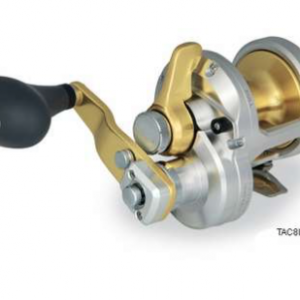 Surface treatment on the spool protects against corrosion from saltwater soaked braided line. S A-RB coating protects bearings from rust in saltwater use. Super Stopper eliminates handle back play. 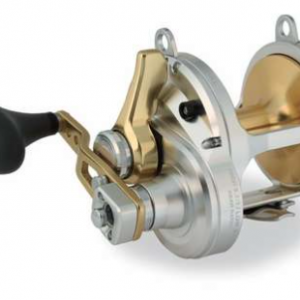 VBS Brake System effectively reacts to spool rotation speed to provide ideal brake force at all times during cast. Dartainium II Drag Washer provides incredibly smooth drag performance with durability.